The 4-day event schedules have all been successfully completed. We appreciate all your warm supports. Thank you very much. On the last day of the 19th Asian Athletics Championships, Xiang Liu (CHN), the gold medalist of the Olympic Games in Athens and the World Championships in Osaka, hit the track of Kobe Universiade Memorial Stadium. In spite of Liu said after the race " It was very hot. I couldn't warm-up very much. ", his new championship record of 13.22 didn't allow other runners to follow close. "My goal now is to be at the start line in the final of the World Championships." said Liu with his new mindset targeted for his first World Championship in four years. In men's Javelin Throw, Yukihumi Murakami (JPN), the bronze medalist of the World Championships in Berlin, won with the new championship record of 83.27m which also broke his own personal best by 0.12m. "Over 85m is necessary to compete for medals in the World Championships. I am surely getting to it." Murakami satisfyingly said of his performance. Men's 200m was won by Femi Seun Ogunode (QAT) who tied for the championship record with 20.41. Miki Hayakari (JPN) set the new championship record in women's 3000mSC with 9:52.42. Chisato Fukushima (JPN) won the gold medal in the women's 200m with 23.49, while Japan swept all relay events with four golds in men's 4x100R, 4x400mR, women's 4x100mR and 4x400mR. As for the medal count, Japan captured the most with 11 golds, 10 silvers and 11 bronzes. Four-day competitions with Asian titles and tickets to the World Championships in August at stake ended with leaving great expectations for Daegu, Korea. The defending champion JPN won this event for the 10th time in history of the Asian Championships. For the first time in the history of Asian Championships, JPN won both men's 4x400m and women's 4x400m relays. Furthermore, for the fifth time in history of Asian Championships, Japanese men won both 4x100m and 4x400m relays. Previously, Japanese men won both events in 1973, 1981, 2005 and 2009. In short, for the first time in history of Asian Championships, JPN won all four (both men and women) relays events. Iran won first medal of any kind at M4x400mR in the Asian Championships. For the third time in history, Japanese women won both 4x100mR and 4x400mR. For bronze medalist IRQ, it was their first medal of any kind in this event at the Asian Championships. Su Xiongfeng, 2010 Asian Games silver medalist, won the MLJ with personal best tying 8.19m. Su recorded the personal best of 8.19m in Shanghai Diamond League two month ago. Note that he has jumped 8.27m indoor, in Nanjing in 2010. S Sukhasvasti Na Ayu of Thailand won the first medal of any kind in MLJ for Thailand in the Asian Championships. Rikiya Saruyama in third place won Japan's first medal in this event since 2003. The defending champion and 2010 Asian Games champion, Yukifumi Murakami won the Asian Championships with the new championships record, which is also his personal best. Murakami improved the championships record (82.75 by Li Rongxiang from 2002) to 83.27m. His previous personal best was 83.15 recorded in 2010 Asian Games. With his second gold, Murakami joined three other multiple medal winners (Shen Maomao who won twice, Li Rongxiang who won thrice and Zhang Lianbiao who won four times) at MJT in the Asian Championships. Park Jae-Myoung threw 80.19m which is a longest throw by Korean Javelin thrower in the history of Asian Championships. Previously, 79.22 Park recorded in 2002 was the longest throw by Korean in the Asian Championships. Like women's counter part, JPN men also successfully defended the crown they won two years ago. So for two championships in a row, and sixth time in history, JPN won both men's and women's 4x100mR. HKG, who won silver medal, won their first medal of any kind at this event in the Asian Championships. TPE repeated their bronze medal performances from two years ago. JPN successfully defended the crown they won two years ago. CHN's drought at this event continues; although they have recorded three fastest times in the history of Asian Championships, they have not won since 2002. The Chinese team in 2nd place and Thailand team in third place recorded the best marks for second and third, respectively. CHN improved best 2nd place time (recorded by CHN in 2005) from 44.24 to 44.23, while THA improve best 3rd place time (recorded by CHN in 2000) from 44.80 to 44.62. Liu Xiang won this event for the fourth time with the new championships record of 13.22. He also held previous championships record of 13.30, recorded in 2005. The winning margin of 0.34 second is large, but NOT a record. Previously, Liu won by 0.40 seconds in 2002. Park Take-yong of KOR recorded the fastest 3rd place time, 13.66, in the Asian Championships. Previously, Wu Youja held the fastest 3rd place time of 13.80, recorded in 2003. For the third time in history of the Asian Championships, Liu Xiang and Shi Dongpeng finished first and second, respectively. Previously they won gold and silver, respectively in 2009 and 2005. Furthermore they finished first and second in 2006 and 2010 Asian Games. For the eighth time in history, Chinese hurdlers won two medals in the Asian Championships, and for the sixth times in history they won gold and silver. For the eighth time in history, Chinese hurdler won both 110mH and 100mH (by women). Note that Japan have accomplished the same feat four times, most recently in 2007. Sun Yawei (CHN) successfully defended her crown from two years ago. Her winning time of 13.04 is a personal best, improvement from 13.12 she recorded in 2009. The best mark for third place (13.15) was recorded by Ntalya Ivoninskaya (KAZ). Previously, the best third place mark was 13.16 by Kulawanska (SRI) from 1998. Jung Hye-lim of KOR recorded the fastest time (13.11) ever recorded by Korean hurdler at this event in the Asian Championships. Previously, the fastest time by Korean hurdler was 13.38 by Lee Yeon-Kyong. 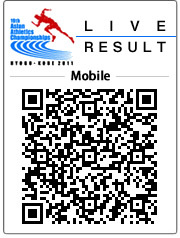 The winning margin of 1cm is the smallest ever winning margin at WSP in the Asian Championships. Previously, the smallest winning margin was 7cm from 2005. For the eighth time in the Asian Championships women's shot put, Chinese shot putters won both gold and silver. Previously they have done so in 1985, 1989, 1991, 1995, 1998, 2003, and 2009. Additionally, they won gold and bronze in 2005. No other nation won both gold and one other medal. Minori Hayakari won the W3000mSC with the championships record of 9:52.42. The previous championships record was 10:05.94 recorded by Yoshika Tatsumi in 2009. Hayakari became only the second runner (after Sudha Singh who won gold in 2010 Asian Games and silver in 2009 Asian Championships) ever to win medals at both Asian Games and Asian Championships. Hayakari won bronze in 2010 Asian Games. The best marks for places for first (9:52.42, previously 10:05.94), second (10:08.52, previously 10:10.77), third (10:14.94, previously 10:34.55), fourth (10:23.87, previously 10:37.93), fifth (10:30.38, previously 11:07.36) and sixth (10:56.88, previously 11:30.77) were all bettered. Sudha Singh, who is also 2010 Asian Games champion, finished second to match her position from 2009 Asian Championships. Thi Phuong Nguyen, bronze medalist, won the first medal of any kind for Vietnam at W3000m SC. With 1.92m jump, the silver medalist Svetlana Radzivil (UZB) tied the best mark for second place. Previously, Svetlana Ruban (UZB) and Jing Xuezhu (CHN) both jumped 1.92 to capture silver medal in 1993 and 2005, respectively. Silver medalist at 800m in both the 2009 Asian Championships and 2006 Asian Games, Mohammad Al-Azimi (KUW) finally won a gold medal at 800m, and thus completed 800m-1500m double at the championships, the feat unparalleled in the Asian Championships (i.e., until today no runner ever won both 800m and 1500m in the Asian Championships). His winning time of 1:46.14 is the fifth fastest time in the Asian Championships as well as the fastest time at 800m in the Asian Championships by runner from Kuwait. He already held the distinction when he recorded 1:46.67 in 2005. He thus improved his best performance at the Asian Championships by more than 0.5 second. Note that top two finishers from 1500m, Mohammad Al-Azimi and Sajad Moradi (IRI) finished in the same order in the 800m as well. Silver medalist Sajad Moradi (IRI) was the defending champion who already had complete set of medals (gold in 2009, silver in 2007 and bronze in 2005). He also won in 2010 Asian Games. The third place finisher Ghamnda Ram (IND) recorded the fastest time by Indian 800m runner in the Asian Championships. Previously, the fastest time by Indian in the Asian Championships was Sri Ram Singh recorded in his victory in 1975. Truong Thanh Hang of Vietnam became the third 800m runner to win this event twice. She previously won in 2007. Previously Shiny Abraham (IND) and Miho Sugimori won two Asian Championships titles at women's 800m. Note that she won a silver medal at 1500m in this championships. Had she won the 1500m earlier, she would have been the fourth runner to accomplish the feat. Liu Xiang's time of 13.50 in the first heat of 110mH is the fastest time ever recorded in the heat of 110mH at the Asian Championships. Previously, the fastest heat time ever recorded in the Asian Championships was 13.62 by Mohamed Aissa Al-Thawadi (QAT) in 2007. TFemi Seun Ogunode's winning time of 20.49 tied the Asian Championships record set by Chang Jae-Keun of Korea in the first semi of 200m in 1985. Note that his time is the fastest time in the final, however, for the previous fastest time in the final was 20.57 by Chang Jae-Keun in 1985. Ogunode became the fifth 200m sprinter to win both Asian Games and Asian Championships. Ogunode won 200m in the 2010 Asian Games. Previously, Anat Ratanapol, Chang Jae-Keun, Talal Mansour and Koji Ito have won 200m in both Asian Games and Asian Championships. The winner, Chisato Fukushima, became the 4th sprinter (after Esther Rot (ISR), P.T. Usha (IND), and Damayanthi Dharsha (SRI)) to win both Asian Games and Asian Championships at 200m. Fukushima won 2010 Asian Games. Her winning margin of 0.52 seconds is largest winning margin since 2002 when Jayaginghe (SRI) won by record 0.92 seconds. Fukushima's winning time of 23.49 run into strong head wind (-2.2m/s) is the fastest time recorded by Japanese sprinter at 200m in the Asian Games. By finishing second, Gretta Taslakian won first medal for Lebanon at W200m in the Asian Championships. With Saori Imai finishing third, Japanese sprinters won two medals at 200m in the Asian Championships for the fourth time. They have done so in 1973, 1979, 1981 and now in 2011. Ali Mohammed Al-Zankawi (KUW) won the Asian Championships for the 4th time (previously he won in 2003, 2005 and 2007), and thus tied Bi Zhong (CHN) for the most titles at MHT in the Asian Championships with four. The Japanese hammer throwers won two medals in MHT, as they have done so in 1975, 1979, 1981, and 2002. The winning time of 13:39.71 by Dejene Regasa Mootumaa is the Asian Championships record, replacing 13:41.70 by Bahadur Prasad (IND) from 1993. It was first gold medal for Bahrain at 5000m in the Asian Championships. It was also first multiple medals by Bahrain at 5000m in the Asian Championships. The best 2nd place mark at the Asian Championships, 13:40.78, was recorded by Yuki Sato. Previously the best 2nd place time was 13:48.03 by Alyan Sultan Al-Qahtani (KSA) from 1993. Sato also recorded the fastest time by Japanese 5000m runner in the Asian Championships. Previously, the fastest Japanese in the Asian Championships was 13.54.34 by Toshinari Takaoka. The best 3rd place time at the Asian Championships, 13:41.93, was recorded by Alemu Bekele Gebre. Previous best 3rd place time was 13:49.74 by Mohammed Amer Ahmed from 1993. The best 4th place time at the Asian Championships, 13:48.81, by Kazuya Watanabe and the best 5th place time at the Asian Championships, 13:54.35, by Tetsuya Yoroizaka, were set. Previously, the best 4th place time was 13:57.41 by Kenji Ide while the best 5th place time was 14:01.93 by Masami Otsuka from 1991. Bahrain won men's 5000m (Dejene Regassa Mootumaa), women's 5000m (Tejitu Daba Chalchissa), men's 10000m (Hasan Mahboob Ali) and women' 10000m (Shitaye Eshete Habtegebrel). In short, Bahrain won all four distance golds. The winning time of 15:22.48 by Tejitu Daba Chalchissa (BRN) is the Asian Championships record, replacing 15:25.64 by Wang Junxia from 1995. Tejitu Daba Chalchissa improved from silver medal in 2009 Asian Championships to gold today. Tejitu Daba Chalchissa was 5th at 3000m and 4th at 5000m in the 2010 World Junior Championships. She was also 7th at 10000m in the 2010 Asian Games. The winning mark by Mutaz Essa Barshim, 2.35m, is the Asian Championships record as well as personal best. Previous championships record was 2.31 by Zhu Jinahua(CHN). Barshim, the defending World Junior Champion, won first gold medal for QAT in the men's HJ at the Asian Championships. He also became the fourth high jumper to win both the Asian Games and Asian Championships. Previsouly Teymour Ghiasi (IRI), Zhu Jianhua (CHN) and Lee Jin-Taek have won both Asian Games and Asian Championships. The mark (2.35m) is the highest jump by Asian in Japan. Previous mark was 2.33 by Naoyuki Daigo in 2006. The winning margin of 7cm is the second largest at MHJ in the history of Asian Championships. The largest winning margin is 21cm by Zhu in 1983. The best 2nd place mark at the Asian Championships, 2.28m, was set by Ghazal (SYR). Previously, the best 2nd place mark was 2.27 by Lee Jin-Taek (KOR) from 1998. Ghazal won first medal of any kind for Syria at men's high jump in the Asian Championships. The best 4th place mark at the Asian Championships, 2.24m, was set by Takashi Eto (JPN)> Previously, the best 4th place mark was 2.23 by Takahisa Yoshida (JPN) from 1998. The winner, Wassana Winatho of Thailand won first gold medal for Thailand at women's Heptathlon in the Asian Championships. Her winning score of 5710 is the highest score by heptathletes from Thailand in the Asian Championships. For the third time in the history of Asian Championships, the Japanese heptathletes won two medals. Previously the Japanese heptathletes won two medals in 1975 & 1979 (contested as Pentathlon). The winning mark of 14.54m is the second longest triple jump (after 14.69 by Olga Rypakova from 2007) in the Asian Championships. It is also the longest triple jump by Chinese triple jumper in the Asian Championships. Previously Xie Limei won 2005 Asian Championships as well as 2006 Asian Games. She is already one of the four women's triple jumpers to win both Asian Championships and Asian Games. Xie Limei joined Olga Rypakova (won in 2007, 2009) and Ren Ruiping (won 1993, 1995, 1998) as one of three multiple medal winner at WTJ in the Asian Championships. The best third place mark of 14.11 was set by Mayookha Johny of India. Previous best third place mark was 13.99m by Irna Litvinenko of KAZ from 2009. Mayookha Johny won the first medal of any kind for India in Women's TJ at the Asian Championships. Note that Mayookha Johny won WLJ on he first day. The best 4th place mark of 13.97 was set by Li Yanmei of China. Previous best 4th place mark was 13.94 by Aleksandra Kotlyarova (UZB) from 2009. For the second consecutive Asian Championships, intermediate hurdlers from the same nation (JPN (Satomi Kubokura in W400mH and Takatoshi Abe in M400mH)) won both men's and women's 400mH. For the second time in the history of Asian Championships intermediate hurdlers from Japan won both gold and silver medals. Previously, Takashi Nagao, Shigenori Omori and Yukihiro Yoshimatsu swept the medal in 1981. Takatoshi Abe won fifth gold for Japan which tied QAT for the most gold in M400mH at the Asian Championships. Satomi Kubokura won third consecutive gold medal at 400mH in Asian Championships, tying P. T. Usha (won in 1985, 1987, 1989) and Yumiko Aoi (won in 1979, 1981, 1983). Her winning time, 56.52, is the fastest time by Japanese in the Asian Championships. Previously Kubokura was the fastest with 56.62. C. S. Merril won first medal of any kind for Sri Lanka at W400mH at the Asian Championships. The winning mark of 20.14m by Chang Ming-Huang is the Asian Championships record. The previous Asian Championships record was 19.87 by Om Prakash Singh on India from 2009. Chang won first gold for Chinese Taipei in Men's SP at the Asian Championships. He won two consecutive silver medals in 2007 and 2009. He also won two consecutive bronze medals in 2006 and 2010 Asian Games. The best mark for second place, 19.77m, was recorded by Zhang Jun (CHN). The previous best second place mark was 19.66 by Chang Ming-Huang (TPE) from 2007. This mark is also the longest throw by Chinese Shot Putter in the Asian Championships. Zhang Jun improved from bronze in 2009 Asian Championships to silver this year. He also won silver in 2010 Asian Games. A bronze medal by Karhana of India is 24th medal by IND in the Asian Championships. The Indian SP won at least one medal in 17 of 19 Asian Championships, missing only in 1991 and 1993. The winning mark of 4.35m by Wu Sha (CHN) is the second highest (to 4.53 by Gao Shuying from 2005) vault in the Asian Championships. Wu Sha improved from silver in 2009 to gold in 2011. The best second place mark of 4.30m was set by Li Ling (CHN). The previous best second place mark was 4.20 by Masumi Ono from 2002. Li Ling won silver in 2010 Asian Games, and now she won silver in Asian Championships. For the second time in the history of Asian Championships, the vaulters from the same nation (CHN) won both gold and silver. Previously, Chinese vaulters won both gold and silver in 2009. Choi Yun-hee (KOR) won second bronze medal (after bronze in 2009) in this event. 4.00m vault by Olga Lapina (KAZ) is the highest vault by pole vaulter from Kazakhstan. The 2009 Asian Championships bronze medalist and 2010 Asian Games silver medalist Yevgeniy Ektov finally won gold at MTJ. It was second consecutive gold medal for the country of Kazakhstan. Ektov recorded the longest marks, 16.90, by triple jumper from KAZ in the Asian Championships, relegating 16.82m by Oleg Sakirkin into second place. Two-time defending Asian Games champion Li Yanxi finished only second, thus failed to be the fourth triple jumper to win both Asian Championships and Asian Games. The marks for fourth place, 16.51 by Shinya Sogame is the best 4th place marks in the Asian Championships, if the wind assisted marks of 16.60m (6.3m/s) is left out. Previously the best 4th place mark was 16.49 by Mohamad hamdi Awadh (QAT) in 2003. Having won silver medal in both 2007 and 2009, two-time silver medalist Hadi Sepehrzad won first gold for Iran at Decathlon in the Asian Championships. In fact, he has won all the medals Iranians have won in the Asian Championships. His winning score of 7506 is the lowest winning score since Hiroshi Maruono won with 7321 in 2000. His winning margin of 28 points is the third smallest winning margin in the history of Asian Championships. The lowest winning margin is 11 points in 2007, while the second lowest winning margin is 19 points from 1975. Ali Abubaker Kamal, 2002 Asian Games silver medalist as well as 2002 and 2009 Asian Championships bronze medalist, finally won a gold medal. It is the fifth gold for the nation of QAT in this event at the Asian Championships. QAT is now tied with JPN for the most number of gold medals in this event at the Asian Championships with five. Artem Kossinov won first medal of any kind for KAZ at this event in the Asian Championships. The defending Asian Champion as well as two-time defending Asian Games champion, Tareq Mubarak Taher won a bronze medal for Bahrain. It was the first bronze medal for Bahrain at this event in the Asian Championships, although Taher won gold in this event for Bahrain in 2009, which was a only medal by runners from Bahrain in this event until today. Yousef Ahmed Masrahi of KSA won first gold for Saudi Arabia in this event at the Asian Championships. By winning a bronze medal today, Yuzo Kanemaru now has complete set of medals (Gold in 2005, Silver in 2009 and now Bronze in 2011) at this event in the Asian Championships. Incidentally, Asami Tanno (now on maternity leave for the year) also has complete set of medals at women' 400m (she won bronze in 2005, improved to silver in 2007 and then further improved to gold in 2009) at the Asian Championships. JPN won silver and bronze. It was fourth time the nation won two medals in this event at the Asian Championships, having won gold and silver in 1973 and 1981 and silver and bronze in 1998. Two time Asian Games champion Olga Tereshkova become fourth women to win both Asian Games and Asian Championships. Previously, Damayanthi Dharsha (SRI), Ma Yuqin (CHN) and P.T. Usha have won gold in both Asian Games and Asian Championships. By winning a silver medal at W400m, Gulustan Ieso won first medal of any kind for Iraq at this event. For the first time since 2003, JPN failed to medal in this event. The winning time of 10.21 is fourth fastest time ever recorded in the Asian Championships. It is also the fastest time ever recorded by the Chinese sprinter (and for that matter fastest recorded by someone other than Samuel Francis (QAT) ) in the Asian Championships. The Chinese sprinter has won 100m at last two Asian Championships as well as last Asian Games. The gold medal drought by Japanese sprinters continues. Eriguchi won fifth silver medal for JPN, but coveted gold medal eluded the nation again. Furthermore, it was four straight silver medals for JPN in the Asian Championships. However, on the bright note, for the first time, Japanese sprinters won two medals in this event. Genzeb Shumi Regasa of Bahrain won first gold for her country at W1500m in the Asian Championships. The runner from Bahrain has won silver before, in 2007 but never gold of bronze. Her winning time of 4:15.91 is the fastest time ever recorded by Gulf nations in the Asian Championships. After having won two silver medals in 2007 and 2009 editions of Asian Championships, Truong Tranh Hang of Vietnam won silver medal in W1500m. It was first silver medal for her country of Vietnam in this event. In fact she has won all the medals (two bronze and now silver) by Vietnamese runner at this event. By winning the W100m today, Guzel Khubbieva won the complete set of medals (gold, silver and bronze) in the Asian Championships. Addition to gold medal today, she won silver in 2005 and bronze in 2003. Furthermore, her winning margin of 0.31 sec (11.70-11.39) tied the largest (auto time) winning margin recorded in 1985 by P.T. Usha (IND) and 1987 by Lydia de Vega (PHI). Note that in the hand time era of 1973, Amelita Alanes (PHI) won W100m by 0.4seconds (hand time) The Chinese sprinters won two medals in this event for fourth time, this time silver and bronze. Although previously they have won gold and silver (in 1991, 1993 and 1998) and gold and bronze (in 2005), they never won silver and bronze combinations before. Note that IND in 2000 and JPN back in 1973 won silver and bronze in this event. Krishna Poonia of India tied the best 4th place mark, 56.23m, recorded by Yuka Murofushi in 2005. The Chinese throwers won gold and silver for the fourth straight (since 2005) editions of the Asian Championships. It was also the sixth time they has done so at the Asian Championships, having won gold and silver in 1985 and 1993. Ma Xuejun of China has been collecting silver medals. In addition to today's silver, she previously won silver medal at 2006 Asian Games as well as 2009 Asian Championships. Krishna Poonia of India, who has won bronze medal in last three Asian Championships as well as last two Asian Games finished fourth and thus failed to win a medal. However, bronze medal streak at this event for India continues as her team mate Harwant Kaur was third at WDT today. Daichi Sawano won the Asian Championships for the record third time. Until yesterday he was tied with Grigoriy Yegorov, Hideyuki Takei and Liang Xueren with two Asian Championships title. His winning height of 5.50m is the fourth highest in the Asian Championships and also the highest vault by Japanese vaulter, eclipsing 5.45m he recorded in 2009. The Japanese vaulters won both gold and silver, matching the feat accomplished by JPN in 1975, 1979, by CHN in 1989, 2009 and by KAZ in 1993 and 1998. In fact, JPN have swept the medals in 1979 in Tokyo when they were allowed to enter three vaulters as a host nation. Due to weather that may be dangerous to athletes, the Men's PV, which was scheduled for today, has been postponed to 11AM tomorrow, the day two of the Championships. The runner from Bahrain won both men's and women's 10000m, thus matching the feat accomplished by China in 1987. In fact, Bahrain won gold and silver in both men's and women's 10000m, which is first in Asian Championships, for China only won gold but not silver in 1987. Akinobu Murasawa of Japan has broken medal monopoly by Gulf nations (more specifically Qatar, Bahrain and Saudi Arabia) which lasted from 2005 to 2009 at men's 10000m in the Asian Championships. He recorded the fastest time by Japanese in the Asian Championships. Previously Yusei Nakao recorded 28:40.89. For Bahrain, it was first gold and silver monopoly in this event at the Asian Championships. (QAT and JPN have monopolized gold and silver twice in this event while IND has done once) The defending champion Hasan Mahboob became only the fourth runner in the history of Asian Championships to win M10000m twice. His winning time was fourth fastest in Asian Championships. (He also holds Asian Championships record) The runner from Bahrain won both men's and women's 10000m, thus matching the feat accomplished by China in 1987. Mayookha Johny (IND) became only the second women's LJ (after Anju Bobby George in 2005) from India to win gold in WLJ at the Asian Championships. Her winning mark is second longest jump by Indian woman long jumper (again after Anju Bobby George) in Asian Championships. The winning margin of 2.90 seconds is the smallest ever winning margin in W10000m in the Asian Championships. Previous minimum was 4.50sec in 1998 in Fukuoka. The winning time of 32:47.80 is the fifth fastest time in the Asian Championships. It was the fastest time by the runner from Bahrain at the Asian Championships. It was the second gold medal for Bahrain in this event in the Asian Championships. For the third time the runners from the same country (this time Bahrain) won gold and silver in this event. Previously, China in 1993, and PRK (People's Republic of Korea) in 2002 won gold and silver in this event at the Asian Championships. The third place finisher Preeja Sreedharan of India ran the fastest time by Indian runner in this event at the Asian Championships. The winning throw of 58.05m, is the second longest throw in the Asian Championships with the new Javelin. The defending champion Liu Chunha joined her country women, Xin Xiaoli, Li Lei and Ma Ning, as the fourth women Javelin thrower to win this event twice at the Asian Championships. The Chinese women's Javelin throwers won gold and silver for the sixth time (after 1979, 1985, 1989, 2002 and 2009) in the Asian Championships. The winning throw by Masumi Aya, 67.19m, is fifth longest throw in the Asian Championships. It is also the longest throw by Aya in the Asian Championships. The best 4th place mark, 62.48m, was set by Kang Naru (KOR). Previously, the best 4th place mark was 59.66m by Huang Chih-Feng (TPE) from 2005. The mark of 62.48m by Kang Naru, 2007 silver medalist, is the longest throw by Korean woman hammer thrower in the Asian Championships. For the first time in the Asian Championships, four hammer throwers threw over 60m. Until today, the Chinese completely dominated this event at both Asian Championships and Asian Games. They won gold medal every time (7 Asian Championships and 3 Asian Games) the event was contested. Masumi Aya change that today. By winning the women's HT today, she became the first non-Chinese to win this event in the Asian Championships. 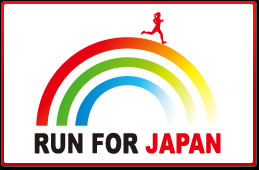 (C) 2011 Japan Association of Athletics Federations. All Rights Reserved.